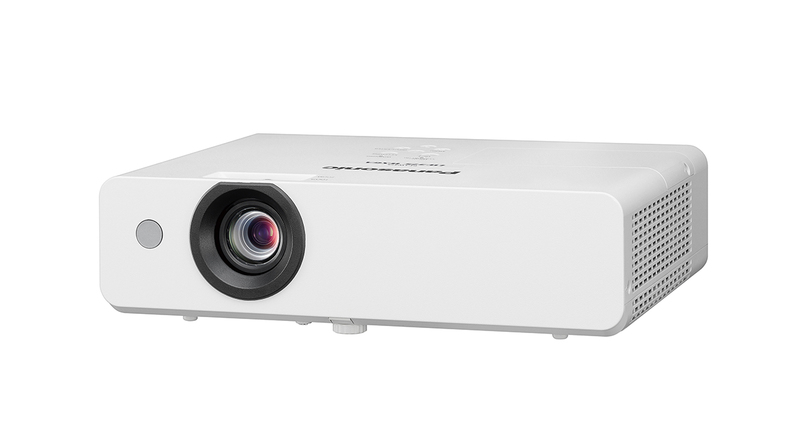 Simply inserting the optional ET-WML100 Wireless Module into the USB port on the projector enables easy wireless projection from Windows PCs, iOS devices, or Android devices on which the proper freeware is installed. Pictures, videos, and any documents including PDF files/Power Point files, whatever are displayed on the PC screen can be projected. The images from up to four PCs can be projected simultaneously. Pictures, some documents including PDF files can be projected. Live camera mode / Annotate mode can be used. The images from up to four devices can be projected simultaneously. * VueMagic™ Pro is a product of Pixelworks, Inc. For detailed information, refer to the following website . In addition to JPEG/BMP image and text files, PDF files can be projected by simply inserting a USB memory device containing the data into the USB memory port. Now you can start your presentation without having to connect to a computer. USB Display outputs images and sounds from the computer without the need to install any software. Simply connect* to the USB port with a single USB cable and start your presentation. * The first time a USB cable is connected, a USB driver must be installed. a wired LAN terminal, and a serial (RS-232C) terminal for external control. 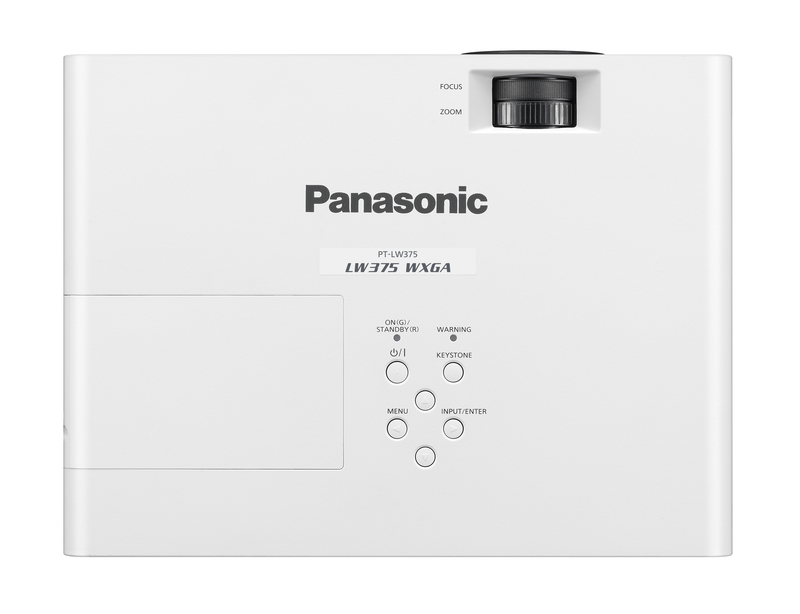 These features support a wide range of system architectures for portable or ceiling-mounted use. The Auto Input Signal Search function automatically detects the input signal and selects the input channel based on the signal. This function lets you start a presentation without any complicated setup required. With Real-Time Keystone Correction, the projector automatically senses if you adjust its angle (in the vertical direction) during operation and instantly makes whatever keystone correction is necessary for optimal viewing. 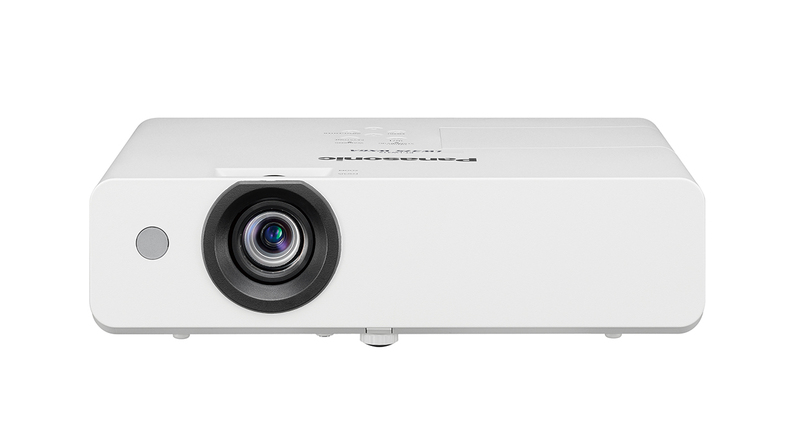 high-quality projection possible in rooms that don’t have a screen. These portable projectors feature high-output 10-watt speaker that produces a high sound volume without requiring external speakers. A brightness level ranging from 3,100 lm* to 4,100 lm* and contrast ratio of 16,000:1 have been achieved in a compact lightweight body. Clear and bright images enhance the learning and working experience. The PT-LB425 Series has a maximum lamp replacement cycle of 20,000 hours. *1 The air filter also has a replacement cycle of 10,000 hours. *2 This reduces maintenance hassles for long periods of use, and helps to lower maintenance costs and reduce environmental impact. *1 This is the maximum value when the lamp power is set to Eco2. The usage environment affects the lamp replacement cycle. *2 The usage environment affects the duration of the filter. 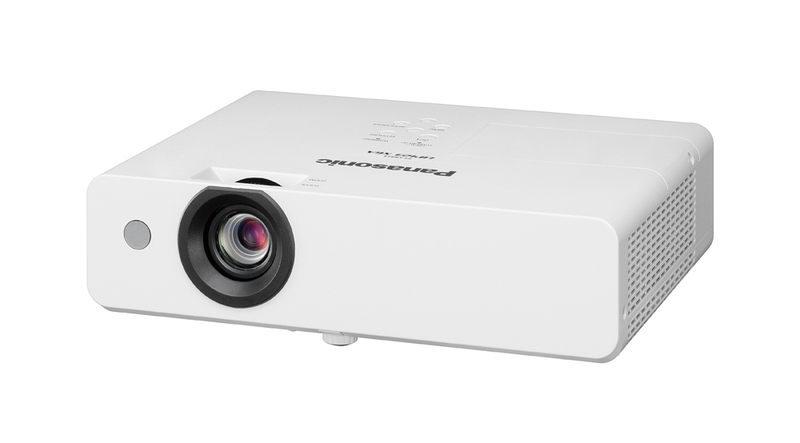 The Daylight View Lite function can be activated from the remote control for easy and comfortable viewing during presentations and lectures in a bright room. All you need to do is designate for points as the corner of the projected image, and this function easily carries out horizontal and vertical keystone correction. Web browser on a computer connected through a wired LAN system lets you remotely operate projectors and check their status.In addition, Multi Monitoring and Control Software is available for monitoring and controlling multiple Panasonic projectors from a single PC.The wired LAN terminal is compatible with PJLink™ (class1), an open protocol that is used by many manufacturers, to enable integrated control of systems that contain different brands of projectors. 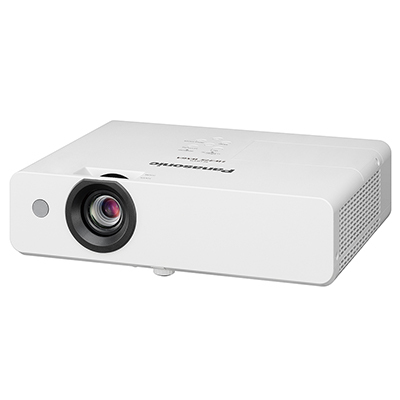 The PT-LB425 Series includes a 1.2x zoom lens to support a wide range of projection throw-distances. This is useful when presenting in rooms of different sizes. For easier maintenance, you can replace the lamp from the top and the air filter from the side, even after the projector is installed on the ceiling. This eliminates the need to detach the projector from its mounting bracket in ceiling-mounted applications.